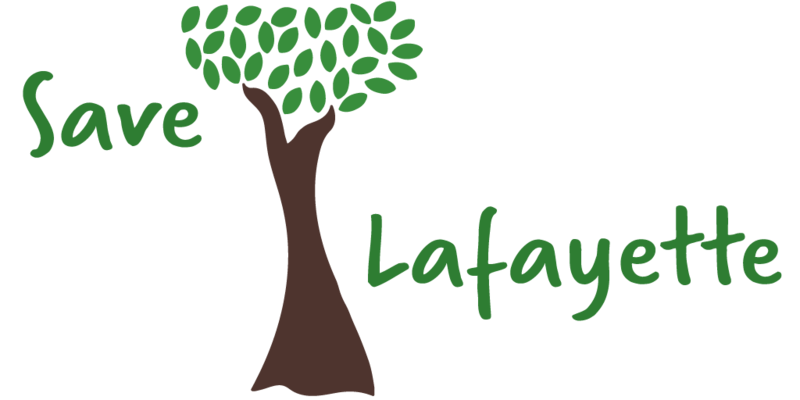 The Save Lafayette Petition Is Almost There! The schools are brimming over, students are being sent to campuses far from their neighborhoods. Lafayette is a city connected mostly by two lane roads. Round trips across town that are 20-30 minutes in times of low traffic are almost an hour at school start and dismissal times. The topology of Lafayette, its hills and valleys, shape its streets like streams and rivers that are overflowing their banks. Vehicles are backed up on the two lane tributaries and severely delayed on the boulevards. The flow of people and their vehicles through Lafayette are already overwhelming critical intersections such as the one at Deer Hill Road and Pleasant Hill Road. The BART parking lots fill early in the morning, the mall parking lots are full in the afternoons, they fill again on the weekends, parking outside of the malls is limited by the restricted and metered options with few alternatives. Save Lafayette is committed to growth that is managed, no matter where it is in town, and accounts for the capacity of its infrastructure to support it. But the urgency around the “Homes at Deer Hill” resolution is that the City Council’s vote started the clock on the citizens’ opportunity to act. The groundswell of support has been fantastic and our goal of getting 10% of Lafayette’s voters to sign our petition is within our sites. But we still need your support! If you haven’t yet, please find us where we’ll be hosting petitions to have your signature count! and more events coming soon! Please stop building commercial buildings in Lafayette…no more apartments… no more traffic…..